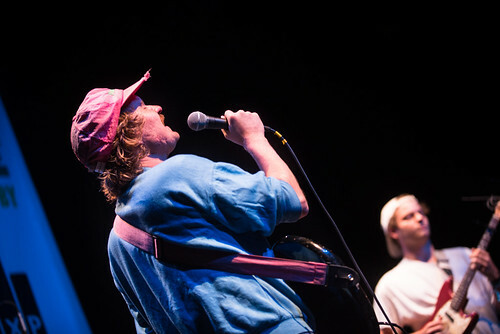 Canadian singer-songwriter Mac DeMarco is quite the chameleon. 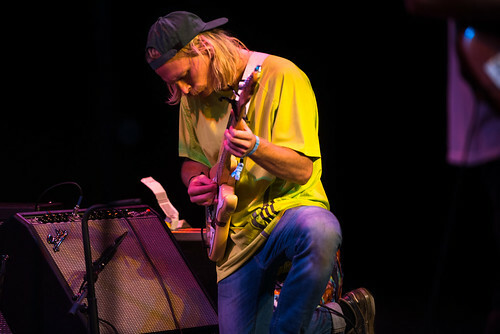 At first glance, he might seem like a lovable slacker with a handful of likable melodies strung over jangling guitars. But take a closer look and you’ll find some brilliantly well-constructed commentary on the state of the in-betweeners. 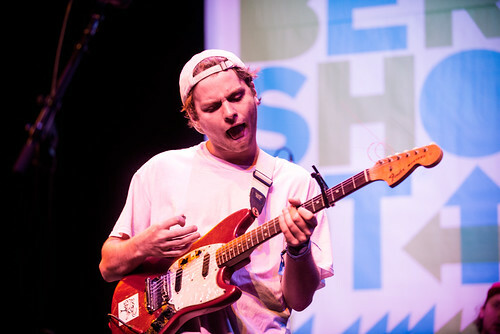 Just take a listen to his new record Salad Days. Over each laid back, shoegazing groove, Mac sings of the internal tensions between living the dream and assimilating, at each step having to appease friends, family, and lovers along the way. 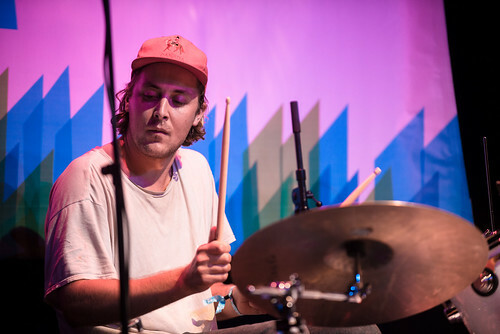 But Mac never gets too serious – the benefits of youth in revolt still apply, and with each introspective dive there is an accompanying shrug to assure a “no worries” type policy. 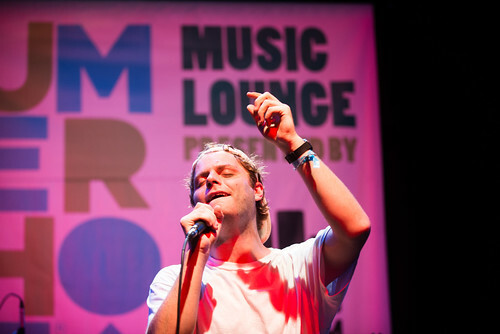 DeMarco brings a wonderfully unique mixture of talent and personality to the stage each time we see him, and today in the Music Lounge is no exception. 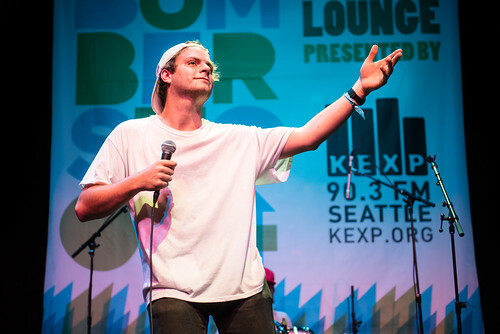 Mac DeMarco and his band arrived on stage at KEXP's Bumbershoot Music Lounge in all their laid back glory. The band's uniform seems to include ratty caps, mustaches and your dad's old t-shirt. The look comes off as effortlessly cool. 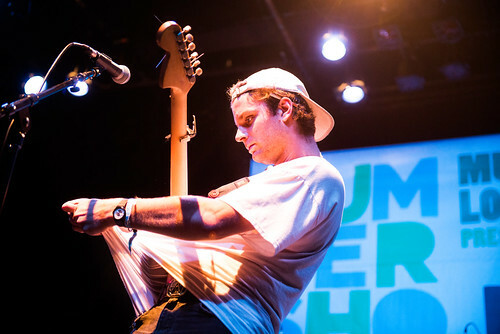 Easy, breezy charm was the theme of DeMarco's performance, and with a "God bless!" they started into "Salad Days. 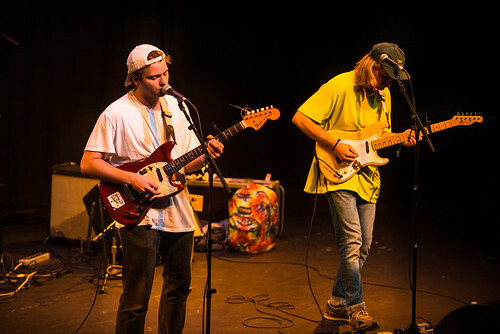 "DeMarco darted casually between songs from Salad Days and 2, ricocheting from Kramer-like dance moves and extra high falsettos to sultry swaying and thoughtful love songs. 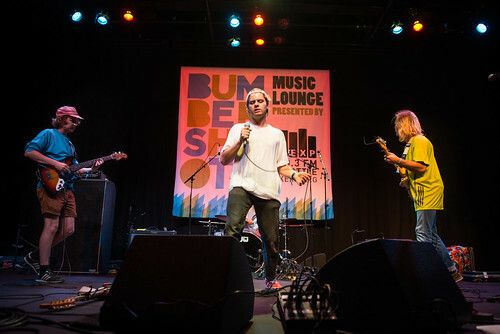 Between these somehow harmonious personalities, DeMarco cracked a few Starbucks and Kurt Cobain jokes and even riffed on Santana and Rob Thomas's "Smooth." While futzing with guitars, bassist Pierce McGarry treated the crowd to their version of The Beatles' "Blackbird." Later, the band tried on a few chords of Deep Purple's "Smoke On the Water." 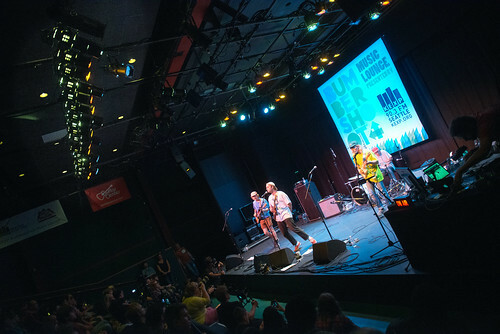 After closing the set with "Still Together," a testament to high DeMarco's voice can go, the band finished their set by nailing a coordinated jump.